In a recent contract, Rotork’s facility at Calgary has fitted IQ3 intelligent electric actuators to fifteen gate valves, sized 42", 48" and 60", and shipped them to the Suncor Fort Hills oil sands mine project in the Athabasca region of Alberta in Canada. This contract is one of many for Suncor Fort Hills which involve Rotork on a global scale. In addition to electric actuators supplied locally from Calgary, over 1,000 CP and GP Range pneumatic actuators have been supplied by Rotork offices in Italy and South Korea. Operating gate, ball and triple offset butterfly valves, the actuators control the flow in applications including extraction, froth treatment, hydro-transport and primary refining, handling bitumen, slurry, water and steam. Suncor is Canada’s leading integrated energy company. 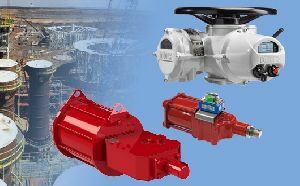 Rotork has been a supplier of flow control products and services to Suncor for over 30 years, providing reliable solutions in some of the most demanding operating environments. This record of proven reliability, together with the local support available from Rotork Site Services, have made important contributions to the Suncor decision to specify Rotork actuators for the Fort Hills project. The valve torque profiling and datalogging abilities inherent in Rotork products are also recognised as effective tools for asset management at Fort Hills, which has been designed to utilise Suncor’s latest technology and approach to tailings (water, sand, clay and residual oil) management and reclamation processes. The project is scheduled to produce first oil as early as the fourth quarter of 2017 and achieve 90% of its planned production capacity of 180,000 barrels per day within 12 months. The mine life is expected to be approximately 50 years at the current planned production rate. Find out more about the IQ Range, CP Range and GP Range.